Lots of exciting news to tell you about this month but first of all may we welcome all our new subscribers to our ever growing community. 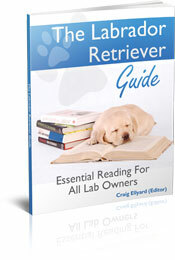 Priced at $9 it can be downloaded from the website and contents include chapters on choosing your Lab, bringing her home, caring, feeding and training her and looking after her from puppy to senior dog. We have sourced lots of new photos to include in the book and there are some adorable photos included in its 80 pages and we hope you will have a look and let us know what you think. We have been blown away by all the great photos and stories that our readers have sent us about their Labradors. Nearly 100 readers have sent us photos of their dogs and we have loved receiving each and every one. And we would love to receive more. 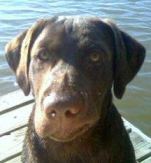 If you haven't already please send us some photos of your Labs and a little bit of information about them. We know that visitors to the website enjoy looking at the photos as the pages receive thousands of hits every month. 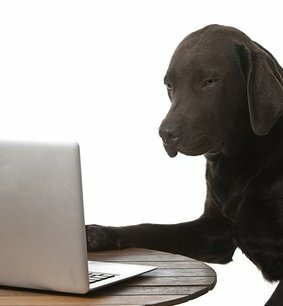 Make your Lab an internet star by clicking here - we can't wait to hear from you! We are really pleased to be able to announce that we are now approved distributors for the wonderful range of John Beswick ceramic sculptures. We are sure that many of you will be aware of Beswick and their long history but briefly John Beswick pottery was established in the UK in the late 19th century and quickly became renowned for their beautiful hand painted animal sculptures. In the UK there are many television programmes devoted to antiques and more often then not at least one piece of Beswick is featured. We receive a lot of emails asking us if we can recommend a breeder or from owners who need to rehouse their pets and even from frustrated owners who can't find their dogs favourite toy in their local stores. There isn't a lot we can do at the moment when we receive these requests so we have decided to offer a free classifieds service on the website. We are still putting the pages together but hopefully they should be ready within a few weeks and hope they will prove useful to all our readers. 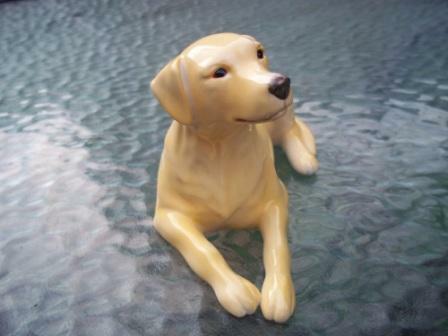 We have been on the lookout for some 'different' products that we can offer on the website and hot on the heels of the Beswick range we are pleased to be able to offer framed sets of the Labrador set of cards from the Nostalgia collection. Our new soapbox pages are proving popular but of course we love to hear from more of our readers. 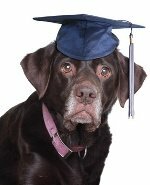 For those unfamiliar with the soapbox it is an area on the website in which our readers can offer their opinions on anything Labrador related or to ask for help from our readers on issues they be having with their dogs. Max is a sweet, almost two year old black lab who was diagnosed with ideopathic epilepsy about 6 weeks ago. At that time he was put on Potassium Bromide (KBr) and was doing fantastic. A little over a week ago he had three bad seizures in about an eleven hour period. He was re-evaluated and put on Phenobarbutal (Pb) in addition to the KBr. He is coping pretty well with his meds. 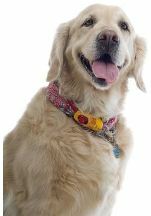 Let me know about your dog with epilepsy, would love to know any information that may help manage his disease!